P91 is one of the steel grades specified by ASTM A335, the standard specification for seamless ferritic alloy steel pipe for high-temperature service. The maximum allowable stress in different temperature ranges shall be determined by ASME B31.1 and ASME B31.3 respectively. 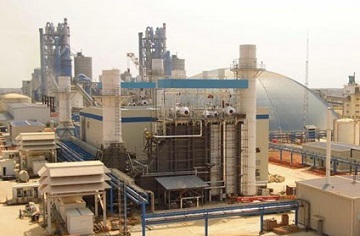 A 660MW combined-cycle power plant in which the A335 P91 seamless pipes were introduced by Metals-Piping. *Temp. : the metal temperature shall be interpreted as “not exceeding”. *AS-I: the maximum allowable stress for thickness less than 3 inches. *AS-II: the maximum allowable stress for thickness 3 inches or greater. *The tabulated values are applicable to ASTM A335 P91 pipes used for power piping construction as per ASME B31.1. *Temp. : the metal temperature shall be interpreted as “at the temperature and not exceeding”. *BS: the basic allowable stress for thickness no greater than 3 inches. *The tabulated values are applicable to both A335 P91 & A691 P91 pipes used for process piping construction as per ASME B31.3.